Often times when making a purchase we are offered a warranty. Similar to insurance, a warranty often provides a worry free agreement that if your product breaks you will get a free replacement. While comforting, this isn’t always the best idea. The value a warranty provides is peace of mind. If you buy a computer for $500 and are offered a warranty for $100 you may decide to take it so that you don’t have to worry about spending another $500 if the computer breaks. For the seller, a warranty works because it’s a profit making machine. In the previous example, a seller realizes that only one out of ten computers break. If they sell ten warranties at $100 each they have made $1,000. After one of the computers break, the seller is left with a profit of $500 ($1,000 in warranties – $500 to replace the one computer). Buyers like warranties because they provide peace of mind. Sellers like warranties because they make a profit. So is it bad that the seller is making a profit? Not necessarily, but the peace of mind might not really be worth it. When deciding whether or not to purchase a warranty consider the following factors. Do I have enough money to replace the product on my own if it breaks? Do I purchase multiple products with a warranty offer each year? Am I like the average consumer of this product? If you have enough money to replace the product (e.g. the $500 computer) then save the extra $100 towards the small chance it breaks. If it doesn’t break then you saved $100 and if it does then the replacement only costs you another $400. This is especially true if you make multiple purchases each year since you can even out the odds. Finally, warranties are typically designed to make a profit on the “average” customer. Say the $100 warranty covers any computer priced between $300 and $2,000. It may be worth it if you’re buying the high end computer since the warranty is costing you less than average when compared with the product price. If you see the benefit in covering yourself then I encourage you to set up a warranty savings account. The way this works is every time you buy something and are offered a warranty you put the amount of money that would go towards the warranty in a savings account. Over time you will build up this warranty savings account and in the rare cases that something breaks you will have more than enough money to cover it. In the end, you are doing the same thing companies do when they offer warranties except you keep the profits. This is an easy way to make money off yourself. Thanks for reading this post. Your support help this post get featured on the Festival of Frugality at FIRE Finance and the Carnival of Personal Finance at SimplyForties. What are your thoughts on warranties? Participate through the poll and comments or link to this article on your site. Warranties are a big money maker for companies. 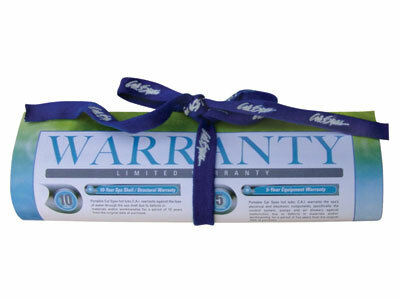 If you buy a warranty and never need it, the money you spend on the warranty is 100% profit for the company. I will say that the warranties we have for our washer, dryer, fridge, and oil furnace have saved us tons in repair bills over the last 8 or so years. Especially our washing machine. The entire clothes washer has been rebuilt over the last few years saving us a bundle. Sometimes a warranty pays for itself, sometimes. it’s wasted money. I guess you just never know. Thanks financialbondage for sharing your experiences. I guess your situation with the appliances may apply to my theory of knowing that your different than the average customer. If the appliances you get covered tend to have more maintenance problems than average then the warranty is probably worth it. This assumes that the warranty equally covers a wide spectrum of appliances.